AMC has revealed a poster and teaser video for the final episodes of their hit series “Breaking Bad.” Unlike previous teasers for the show, this one doesn’t feature lead character and drug kingpin Walter White. 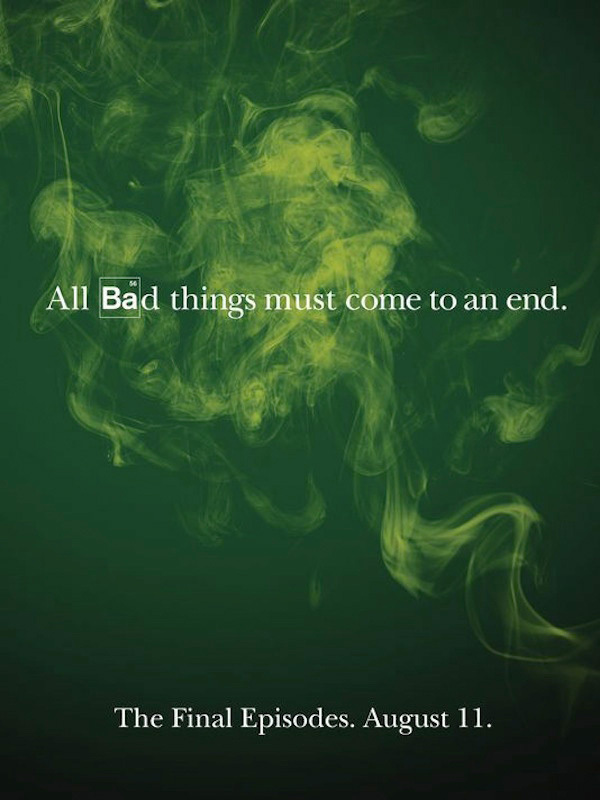 But the teaser does promise that all bad things come to an end. Check them out below. Created and produced by Vince Gilligan, “Breaking Bad” stars Bryan Cranston as Walter White, a high school chemistry teacher in Albuquerque, New Mexico who, after learning that he’s dying of lung cancer, begins to secretly cook crystal meth as a means of providing for his family. The final episodes begin on August 11.